Vecoplan is the leading manufacturer of wood recycling equipment such as wood waste grinders, industrial wood chippers, and industrial wood shredders for wood recycling and wood waste managment. Throughout the world, wood industries choose Vecoplan wood chippers for wood waste management from wood that is produced as a byproduct of their manufacturing processes. Sometimes used for simple volume reduction of scrap wood, in order to reduce the cost of hauling it to the landfill. 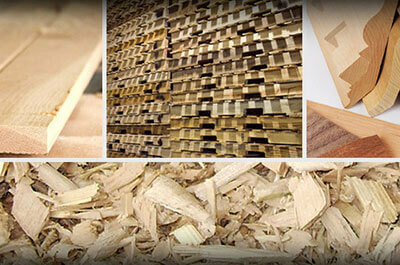 Vecoplan industrial wood grinders can also turn wood waste into something valuable. Vecoplan wood waste grinders are used for wood recycling to produce boiler fuel, animal bedding, mulch, and material for the production of particleboard or other composite materials such as wood/plastic decking. In today’s environmentally conscious world, a Vecoplan wood grinder can be used to expedite the composting process, or to prepare wood and other biomass for conversion to alternative fuels including pellets, cellulosic ethanol and other second-generation bio-fuels. Green wood or dry wood, large scrap or small scrap, hardwoods or softwoods, solid or composites, Vecoplan grinders handle all types of waste wood for wood recycling. For general scrap, of mixed shapes and sizes, Vecoplan offers their VAZ grinder series. VAZ grinders are fed vertically via a large hopper positioned above the cutting chamber. Vecoplan also offers their VTH series of horizontally fed grinders for lineal wood scrap. Perfect for edge rippings, slabs, mouldings, profiles, flooring, or any long wood, VTH horizontal wood grinders are fed by a vibratory conveyor that comes standard with the machine. Vecoplan has established itself as the gold standard of industrial wood chippers, industrial wood shredders, and wood grinders not just because of their universal applicability, but even more for their reliability, and ease of use. 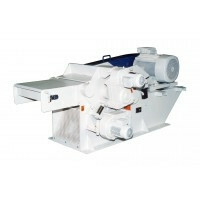 Vecoplan wood grinders are first and foremost built for reliability to recycle wood. This includes low speed/high torque design, high output “Torsion Point” cutting rotors, robotically welded, stress-free frames, oversized drive trains, heavy outboard spherical roller bearings, rugged hydraulics, built-in tramp metal protection, and overall heavy duty construction. They’re also easy to operate and maintain, like all Vecoplan equipment, including our industrial paper shredders. 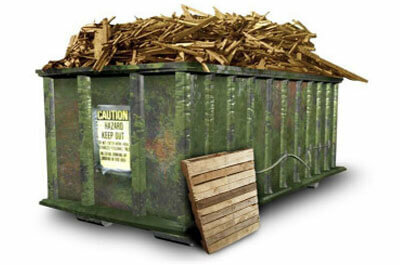 Our wood recycling equipment like the industrial wood shredder from Vecoplan features true dump & run operation. You simply dump material into the hopper or onto the conveyor, push a button and walk away. And with user friendly PLC controls, easy accessibility to all wear items, 4-way indexable cutting inserts, quick and easily changed screens, guides & wipers – maintenance is fast and simple. If you have wood scrap or need to reycle wood, Vecoplan has a wood grinder that is perfect for you. Vecoplan grinders for woodworking scrap are world-class – worldwide. Worldwide, because they can be found on all continents except Antarctica, and world-class because they are the used in more industrial applications that any other wood grinder – period! Vecoplan wood scrap grinders can be found in all industries that process wood or manufacture products made from wood. 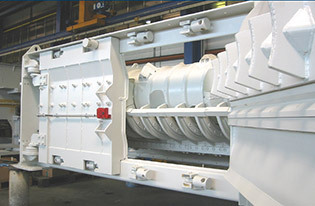 VOC Emmissions, fire codes, and government standards have become much more stringent in the past few years, resulting in added expense in the form of spark detectors and fire suppression systems for pneumatic discharge systems typically associated with hammermills or other traditional wood waste size reduction equipment. Vecoplan VVZ and VNZ wood grinders offer the ideal solution for that. 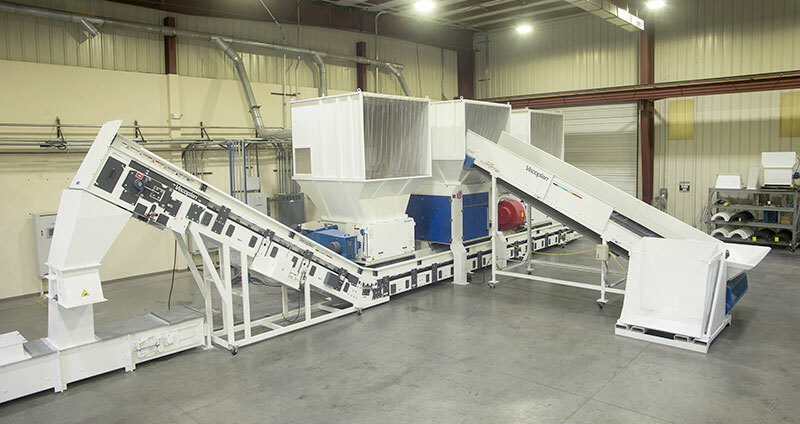 Secondary wood processing industries such as pallet, crate and container manufacturing, truss and structural building component manufacturing, or particleboard, chipboard and MDF manufacturing rely on Vecoplan wood grinders to process their waste wood. Whether it be for volume reduction of pallet scrap to reduce dumpster tipping fees, or to gain value from their pallet scrap by converting it into a valuable product such as animal bedding, boiler fuel, or pellets, Vecoplan wood grinders are a welcome addition to any existing industry. Biomass systems from Vecoplan process and prepare all types of lignocellulosic biomass to be used as a feedstock for the production of fuel. Biomass refers to all organic matter, or in other words, the material that all plants and animals, living or dead, are made-up of. Lignocellulose, composed of cellulose, hemicellulose and lignin, is the technical term for plant matter. Since plants live and grow they are, by nature, a renewable resource. 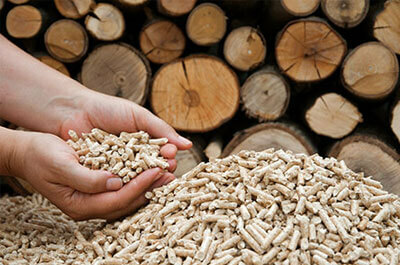 Wood has been, and continues to be, the most common type of renewable biomass utilized as biomass waste and biomass pellets fuel, but virtually all biomass can be used to generate energy. 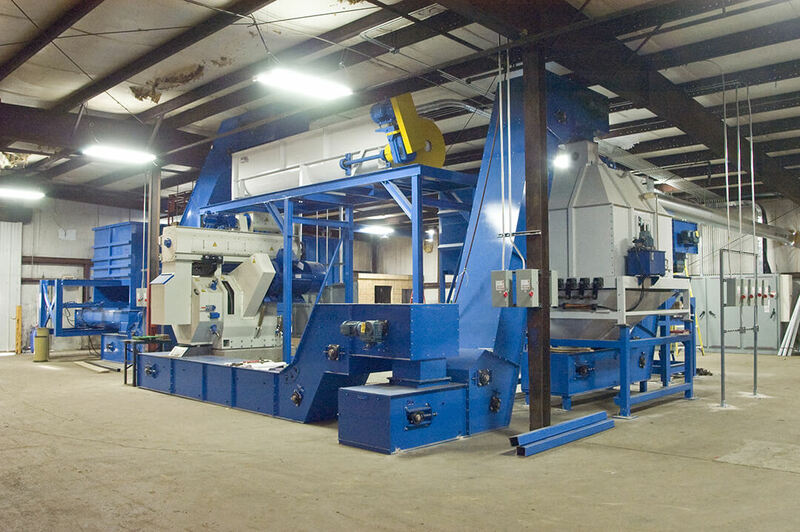 Vecoplan's mechanical preparation systems maximize the effective and efficient reclamation of energy from any lignocellulosic biomass feedstock with the creation of biomass pellet, biomass biofuels and biomass pellets from a biomass pelletizer making machine.